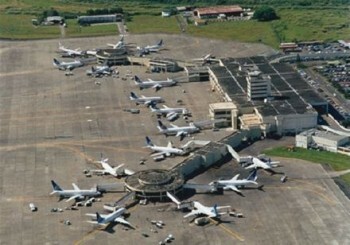 The head of the Ministry of Finance, Wilfredo Cerrato, said that the construction of the Palmerola airport in Comayagua, and the eventual closure of Toncontin in Tegucigalpa, is a matter of national security. Cerrato addressed the issue after last week’s demonstration in the capital against Toncontin Airport in Honduras‘s upcoming closure stirred public sentiment. Finance Mjnister Wilfredo Cerrato addresses the airport at Palmerola vs. Toncontin airport. “We have a great opportunity with the infrastructure that exists in Comayagua, and that’s going to improve competitiveness in the cost of air transport, and also the safety of the people,” claims Cerrato. The finance minister pointed out Palmerola’s excellent location, as it is central and accessible by Puerto Cortes, Puerto Castilla and the Amapala/San Lorenzo area. The new airport development began on March 26, 2015, when the public call for a safer airport was made. Several stages of the project are complete, and it is scheduled to be open for bid by September 25th. 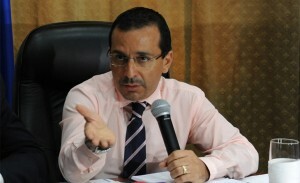 Cerrato relayed that there were eight companies that purchased the bidding documents, “…let’s see what these companies say, because there are already a couple who are asking for a little more than time to improve their proposals.” The project is managed by the Commission for Public-Private Partnerships (Coalianza). About what will happen to Toncontin, the finance minister said there could be buses to Palmerola, shopping centers could be built that would generate many jobs, and even housing or parks could be constructed, where parents can enjoy time with their children. “We have a great opportunity here, to develop Comayagua”, Wilfredo Cerrato concluded.